A living will is a type of power of attorney document that allows you to name a trusted person to carry out your wishes regarding healthcare. If you choose, you can include language in your living will document that specifies your wishes regarding organ donation. Because organs must be harvested soon after death, a living will that addresses organ donation can bring some relief to your family quickly, as they don’t have to worry about making a decision for you. Consider using an online legal document provider if you decide to create a living will. 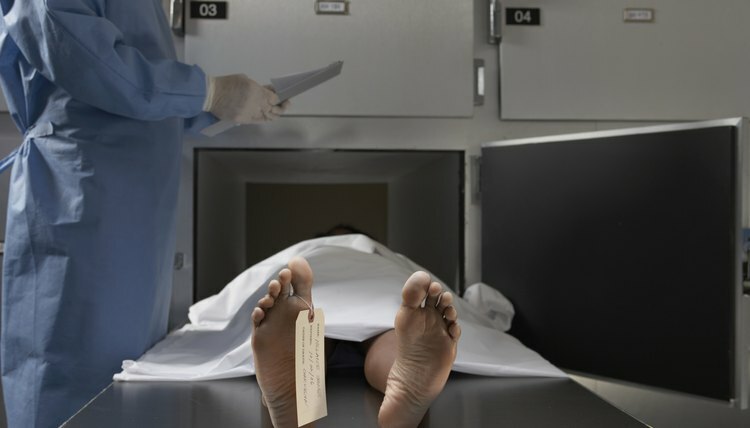 Physicians must usually remove organs within 24 hours of death. Once deceased, the body is usually kept on a respirator to allow for the continuation of blood circulation until doctors can remove the organs. Death, in this context, means the total cessation of brain activity. There must be no reasonable possibility the patient will recover. Even if the decedent left a living will that includes an election to be an organ donor, most hospitals will not remove the organs without the permission of the surviving spouse or a close relative. The decedent’s agent named in the living will is required to give permission if the document includes an election for organ donation. Organs, in the context of donation, include the heart, liver, pancreas, kidneys, lungs and small intestine. You may specify in your living will which of these organs you wish to donate. If you choose, you can elect to donate all of your organs. You may also include language in your living will that specifies how the organs can be used. For example, you may restrict the use of your organs to educational purposes only. Other alternatives include organ donation for transplant, research or therapeutic purposes. Many states have created donor registries where a donor’s election to be an organ donor is stored for easy access by hospitals 24 hours a day. In some states, nonprofit organizations create the donor registry. If your state has such a registry, you can most likely register online. As an alternative, you may be able to register your decision with your state’s Department of Motor Vehicles, which will note your organ donor status on your driver’s license or identification card. Some states allow for the removal of organs or tissue without a living will under certain circumstances. These laws usually take effect only if the death is sudden and the body is at the coroner’s office. In some states that have what are called “presumed consent” laws, the coroner may remove certain tissue (usually the pituitary gland and the corneas) only if the coroner is not aware of any objection to such removal. In other states, the coroner can remove organs only if he is unable to contact the next of kin or is unable to confirm the existence of an organ donation form, such as a living will, after exercising reasonable efforts to do so. In the states that do not have presumed consent laws, the coroner may remove organs only if the coroner is aware of your consent to do so.